Our exhibition calendar year goes from October through September. We also have several Group Exhibits through the year such as Print Austin, International Women's Day, West Austin Studio Tour, Día de los Muertos and more. 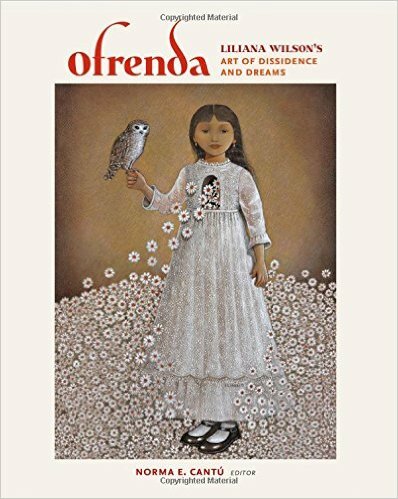 ​send us the information at lapenagallery@gmail.com with the headline "I am La Peña"
La Peña is proud to announce the recent publication of Liliana Wilson's book, "Ofrenda: Liliana Wilson’s Art of Dissidence and Dreams." La Peña presents a selection of paintings by Brian "Bydeeman" Joseph. "Brian Joseph is very comfortable with being called "Bydeeman." He wears it like a badge of honor. Sharing joy, happiness, peace, love and unity is the kind of work that makes his life fun! He loves what he does and does what he loves. Brian is still excited about creating art every day, as he was when he started over 30 years ago." The book is available for purchase at La Peña.